There will be temporary overnight closures to the Twin Peaks Tunnel including West Portal and Forest Hill stations. These weekends make up for work postponed from November due to poor air quality. These closures are to similar to those on previous weekends and only in effect when ridership is low late at night and early in the morning. Bus shuttles will be provided for the KLM lines and will run while additional work is done. Neighbors should expect minimal disruptions as most activity will be inside the tunnel. Crews plan to use this time to replace and upgrade 33 fire suppression valves, repair superficial cracks and finish replacing the fiber optic cables that aid citywide emergency communications. The closures and bus substitutions will be on Friday and Saturday nights during the weekend of January 18-20, 2019. West Portal and Forest Hill stations close at approximately 11 p.m. on Friday and reopen on Saturday at 9 a.m.
West Portal and Forest Hill stations close at approximately 11 p.m. on Saturday and reopen on Sunday at 9 a.m. Buses will operate K, L and M routes between Embarcadero and each line's terminal destination. Board where you see a Half Moon sign. Buses will run every 20 minutes until OWL services starts. OWL service will not be affected by these closures. 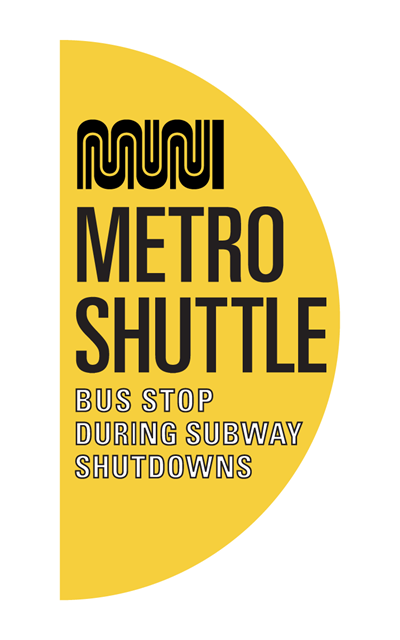 Customers can board all buses at Muni Shuttle route stops, designated with a "Muni Metro Shuttle" yellow half-moon sign.